Fred graduated 10th in his class of 622 in 1965, was in the National Honor Society, Pinnacle Academic Honorary, chaplain of the Letterman’s Club, Junior Guard, played football, cross country, and track. Fred was City Champion, City Record Holder and 2nd in the State in the open 440 and was the anchor leg of the State Championship Mile-Relay Team (All-American – 4th in the nation) under the guidance of Ollie Mayfield. He also ran on two State Record-holding relays (880 Medley and the Mile Medley). After he graduated from Tucson High, he received a track scholarship to Brigham Young University where he lettered as a freshman at the #2 team in the country. He graduated with honors with a BS in Civil Engineering and master’s degree in Structural Engineering (1972). He speaks fluent Spanish, having served an LDS mission in Mexico. Fred has been involved as Chief Forensic Engineer for FEMA at the Oso, Washington mudslide and was a Structural Specialist at the Oklahoma City disaster, the World Trade Center, Atlanta Olympics, Hurricanes Rita and Harvey, as well as many other tragedies. Fred investigated structural failures in the western US and Canada. His efforts and professional contributions undoubtedly resulted in safer conditions for first responders during rescue operations, fewer injuries, and probably lives saved. His professional positions have included the American Society of Civil Engineers Fellow as well as president (2001 Arizona Section) and received the Arizona Outstanding Engineer Award in 1998. 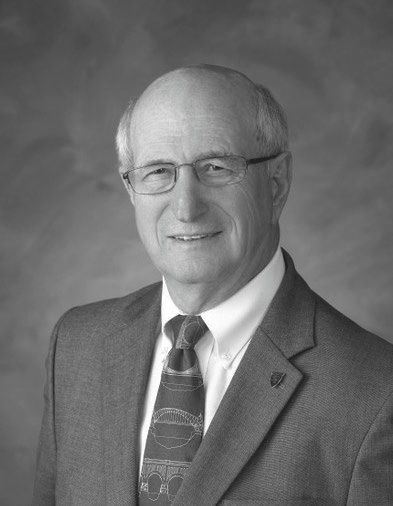 Fred is an ASCE* Regional Governor of 9 Western States assigned to Alaska, and a licensed Professional Engineer in several states. He teaches seminars for California Office of Emergency Services. He is highly respected by his peers in the Engineering community. Fred represents what we should all aspire to be – an intelligent, compassionate, honest, and caring individual. He is a devoted husband and father and active in community activities. He has always participated in youth activities as a scoutmaster and coached youngsters in sports of various kinds. He is a pillar of the Phoenix community.